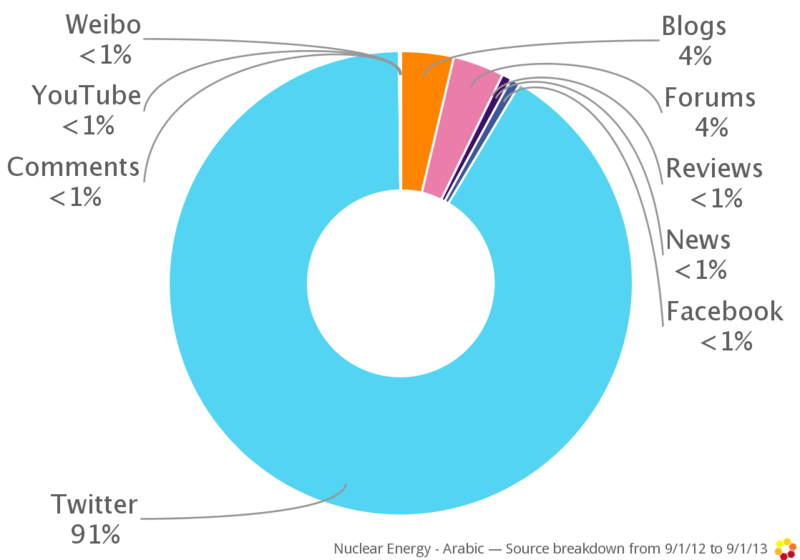 5W analysed the Arabic content published between 1 Sep. 2012 and 1 Sep. 2013 around nuclear energy (69,616 documents). • Positive sentiments: supporting nuclear energy for strategic or energy support reasons. o Mentioning the plans to construct nuclear power plants in the Arabic region and Turkey. o Detailing the threats in the regions from security to earthquakes. The support for nuclear energy (16%) was mostly driven by political/dogmatic thinking. 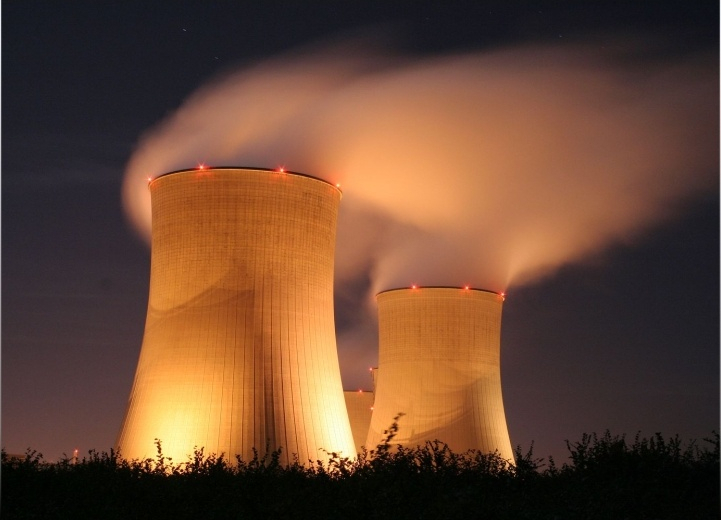 Generally, the argument was “if they have it, we should too” – a technological race to nuclear energy – ignoring the dangers entailed in this race. 59% of the content is negative but not for reasons of environmental risk awareness. The main negative outlook is driven by the political/security situation in the region with Iran on one side and the Gulf countries and other regional powers on another. The combination of security and a highly active geological region drives fear of the consequences of a nuclear crisis in the region. 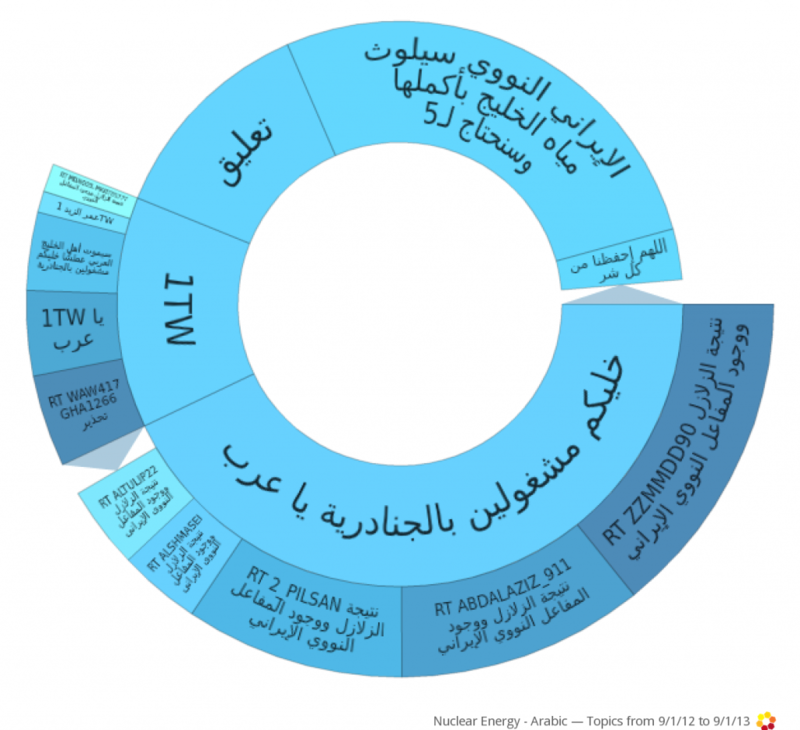 In fact, we can see a peak in negative content around April 14th 2013 following fears that the Bushehr nuclear power plant was at risk due to the April 9th 6.3-magnitude earthquake that struck Bushehr province, Iran. This news sparked concern about the repercussions of nuclear pollution on potable water in the gulf countries and comments on the threats of having a nuclear power plant in the region. We saw very little content from campaigns to raise awareness on the dangers of nuclear energy to the environment. The only campaign we identified – which had some backing from scientific influencers – was in Jordan. This surprised us given the plans to build more than 16 reactors in the region despite the feasibility of alternatives such as solar energy. The focus of this analysis was to look at the Arabic content on nuclear energy. This does not cover the full spectrum of opinion as part of the conversations in the Arab countries is in English and French. Nevertheless, this is an opportunity to see that more campaigns – in Arabic – are needed to raise awareness and drive the agenda on implementing renewable energy generation in the region.